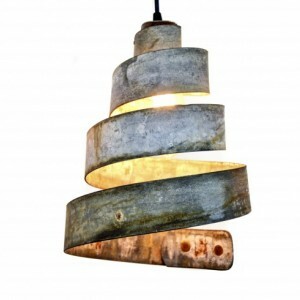 CORBA Collection - Lavaliere - Wine Barrel Ring Pendant Light / made from retired CA wine barrel rings - 100% Recycled! 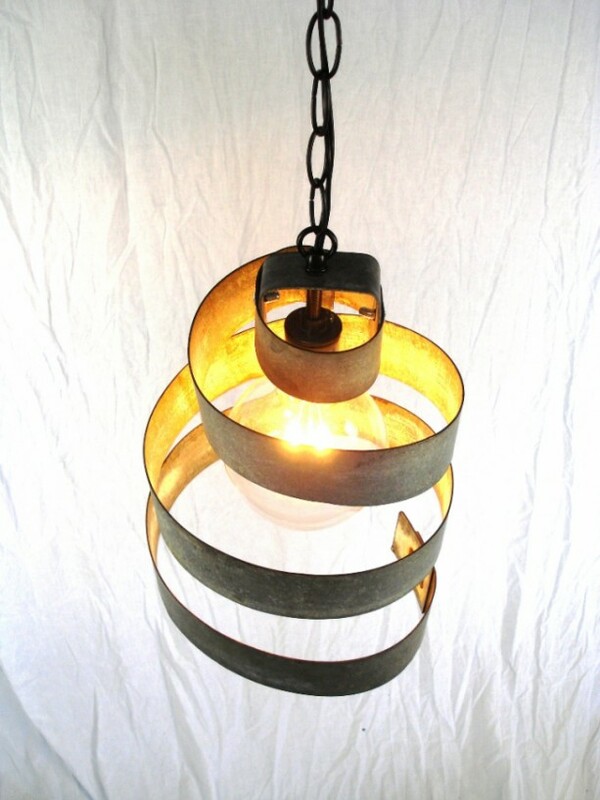 Handcrafted from retired Wine barrel rings in the heart of California wine country, our exquisite lighting collection will showcase your home or business with a rustic elegance unique to California wine culture. 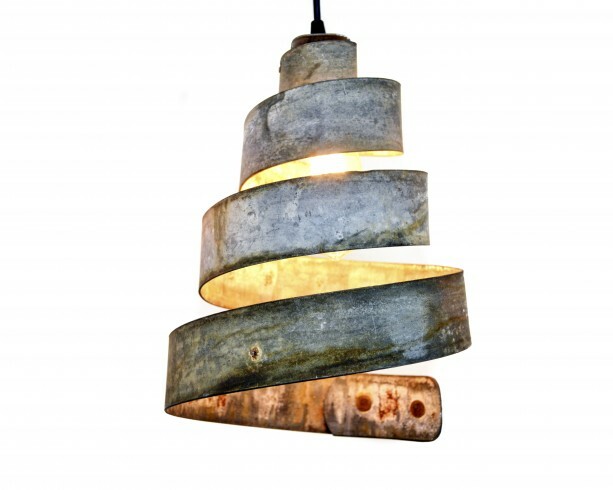 Part of our CORBA collection of lighting - the "Lavaliere" pendant is handcrafted from recycled wine barrel rings. 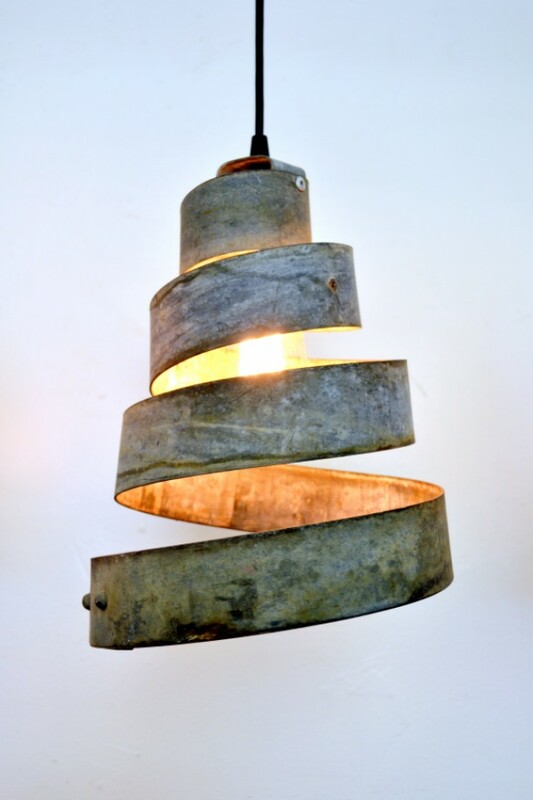 The galvanized steel rings are carefully shaped into an open cone to project the light sideways and downwards. The effect is truly delightful. 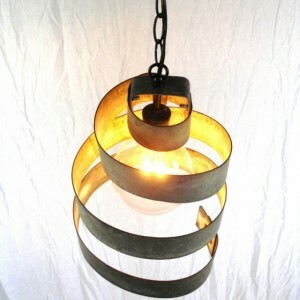 The wine barrel rings are very diverse in galvanized steel color, patina and/ or rust level. Our attentive artisans make every effort to create only the best using materials with natural variations -- so they should not be misconstrued as flaws. 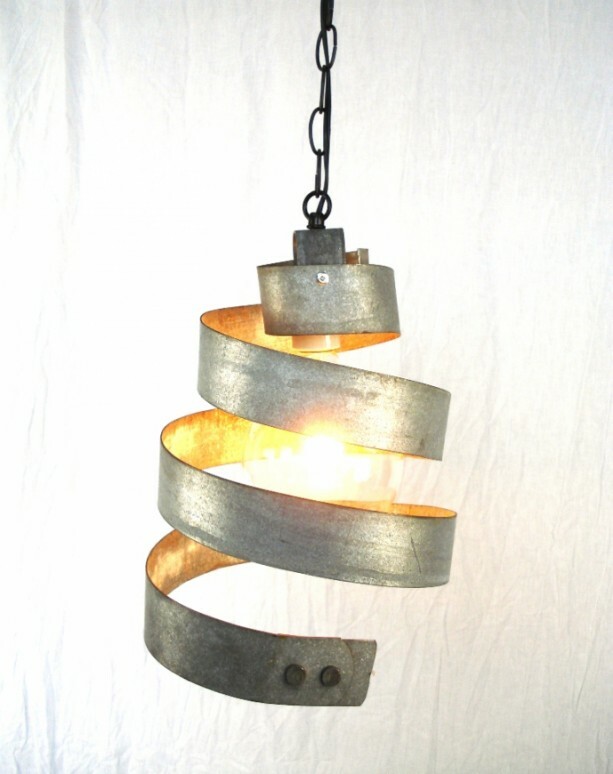 That is what makes each piece of a handmade product charming and unique! The pictures may not be identical to the product you receive. It's probably even more awesome! 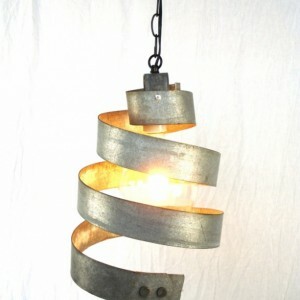 Hang three or more at different heights for an even more stunning light display. 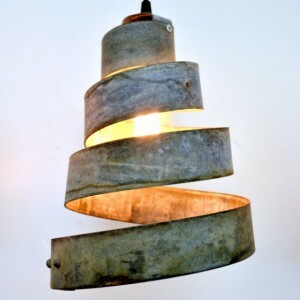 Check out the other lights in our CORBA Collection here: https://www.etsy.com/shop/winecountrycraftsman?ref=l2-shopheader-name&search_query=corba SOCKET: E26 SOCKET. 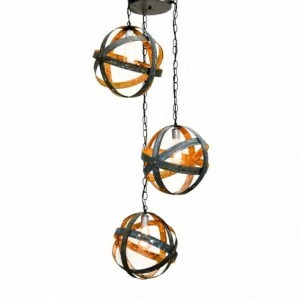 INCLUDES: fixture, 6' black pendant cord or black chain , black ceiling canopy, mounting hardware. 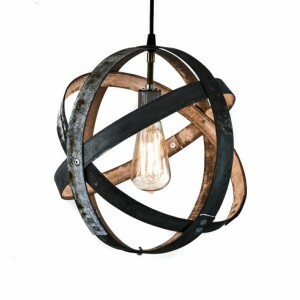 DIMENSIONS: APPROX 12" tall x 9" diameter MATERIAL: Retired Napa wine barrel rings. BULBS: e26 base LED or incandescent bulbs. BULBS NOT INCLUDED.